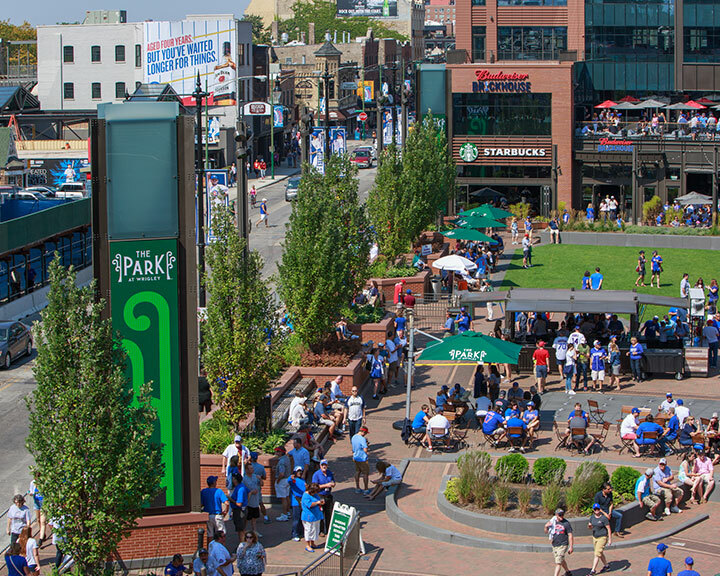 The Park at Wrigley had two overarching goals: Create an outdoor space that would be the focus of pre- and post-game activities for Cubs fans on game days, and also be a park and center of activity for the Wrigleyville and Lakeview communities. 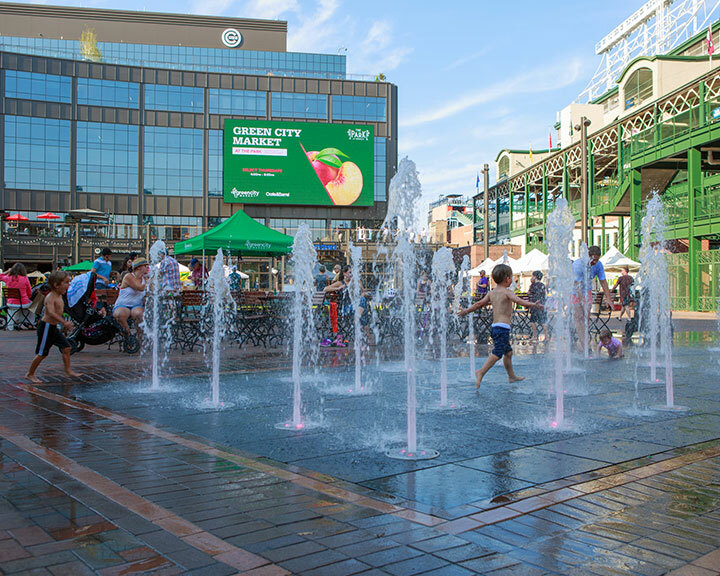 The design was driven by two major principles; contextual design related to historic Wrigley Field, and wide-ranging programming, including the combination of uses, activities, and events to be accommodated in the park. These principles led to a design which is respectful of the historical stadium through traditional forms and the extensive use of brick. The design balances paved areas for circulation, multi-use activities, lawn, and paving, and the incorporation of infrastructure to accommodate a wide range of activities. Wolff Landscape Architecture, the landscape architect, along with Stantec, the architect, shared responsibility for the park design. 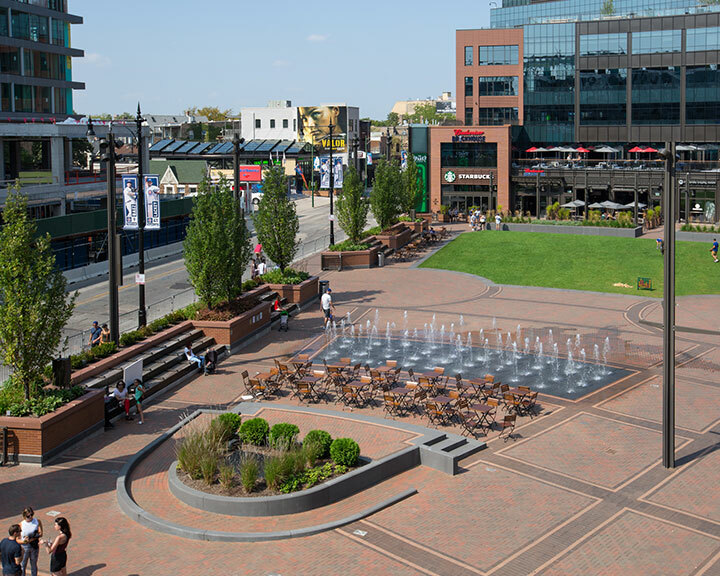 The Park at Wrigley has already had a significant positive impact on the Wrigleyville and Lakeview communities in the short time it has been open. 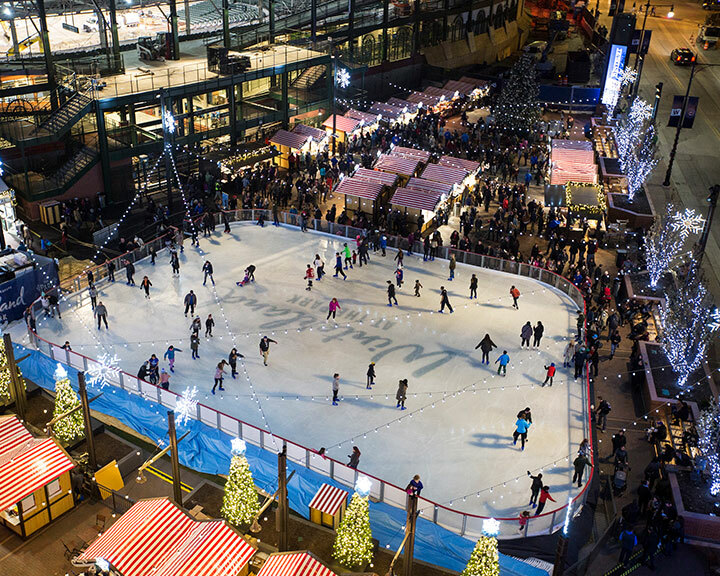 It adds 0.71 acres of open space for the public in a dense neighborhood underserved by public parks, and is heavily programmed with activities and special events so that it is animated throughout the year. Much of the park is built on structure above the expanded Cubs locker rooms located in the basement level below. This was a constraint on the location of landscape in terms of structural loads and soil depth. Another challenge was to accommodate, and not be damaged by, the large crowds, intense use, and heavy pedestrian traffic on game days. In addition to the peak demand of game days, the space also had to appear attractive, inviting, and occupied on typical non-game days when neighborhood park users are significantly lower in number. These challenges were addressed in several ways, including the lawn and through the extensive use of moveable seating, which can removed when the team is out of town so that the park doesn’t appear empty. The Park at Wrigley is a great example of a privately funded project on private property that serves not only the owner’s goals and interests, but also, at no cost to the public or the community, serves the well-being and needs of neighborhood residents, visitors, and more. Project Team: Stantec; TERRA Engineering, Ltd.; Pepper Construction; Christy Webber Landscapes; Delta Fountains; Dirt-n-Turf Consulting; Schuler Shook Inc.